Since its inception in 1997, it has been trying to create and recreate sound of traditional Korean music, producing a diversity and originality in sound that echoes within the country and outwardly to a glocal scale. 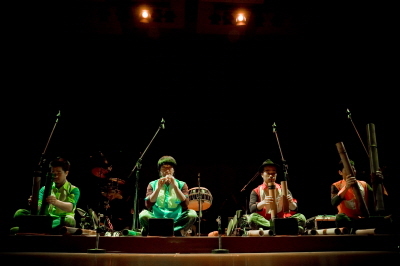 Having studied traditional Korean music, the members use their knowledge to produce and develop a unique sound that fuses together the old and new. To do this, they create and construct their own instruments using bamboo and use a variety of wind and percussion instruments that make a novel ensemble.